You Can Buy It Today! Jalapeno Madness: Jalapeno Recipes Galore! This is the ultimate collection of jalapeno pepper-themed recipes, the perfect compendium, a compilation of delicious recipes featuring the world's most fabulous chili pepper - the jalapeno. Are you a jalapeno lover? Do you crave the world’s perfect pepper? Did your garden bless you with an overabundant harvest this year and you don’t know what to do with them? Welcome to Jalapeño Madness, a special tribute to the greatest pepper on earth. The simple fact that you are here demonstrates at least a passing interest in this wonderful chile pepper, and that interest is greatly appreciated. The purpose of Jalapeno Madness is to inspire creative cooking and fun with jalapeno peppers. 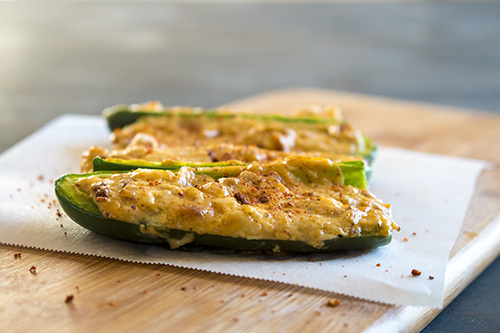 We've Got NEW Jalapeno Pepper Recipes! This page was created in honor of the world's most wonderful pepper. Of all the chile peppers in the world, the Jalapeño is wonderful in the fact that it is not too hot, and not too mild. For most discerning palates, it is just right, and it mixes in so well with just about any recipe. Get jalapeno pepper recipes here. Receive jalapeno recipes, news and fun chili pepper information to your inbox.